This is easily got to be the best match winning performance of the IPL 2012. Out of nowhere, the Haryana wicketkeeper batsman comes and stuns the two time and defending IPL champions in front of their home crowd and that too, in a final! Manvinder Bisla was chosen to open the batting with the in form captain, Gautam Gambhir instead of Jacques Kallis and with a target of 191 to chase, Bisla had to face the heat alongside the actual Chennai heat. Yet, Bisla responded with a blinder of a knock. The manner in which he attacked Ravichandran Ashwin and Albie Morkel was a joy to watch and their bowling figures in the end, gives clear proof of it. Bisla scored 89 runs in 48 balls, which meant that he helped Kolkata Knight Riders keep up with the required run rate at all times, despite the team being 9/1 after 2 overs. There were as many as 8 fours and 5 sixes hit by him at a monstrous strike rate of 185.41, something which the Super Kings did not expect from Bisla. With the virtue of the knock, Kolkata chased down 191 successfully with two balls to spare and were named the IPL 2012 champions. He had to be awarded with the man of the match trophy for his priceless contribution. Unarguably, this can be ranked as the second most destructive knock in the history of the Indian Premier League, the first being Brendon McCullum’s magnum opus of 158 not out in Bangalore in 2008. It was in this game against the Delhi Daredevils at the Feroz Shah Kotla in Delhi that Gayle proved how great he has become as a T20 batsman in the last 24 months. Such a knock was expected from him at some stage of the competition. The burly West Indian was helped by the fact that Delhi rested Morne Morkel, their bowling spearhead for the game. So an attack comprising of Irfan Pathan, Varun Aaron, Umesh Yadav and Andre Russell did not seem threatening to him and here he saw an opportunity to hit big. And he hit big and big on every single ball. Such was his onslaught that Royal Challengers Bangalore ended up with a monumental score of 215/1 after 20 overs, demoralizing an already weakened Daredevils side completely. Delhi fell short by 21 runs and the win gave Bangalore some hope to qualify for the playoffs stage. 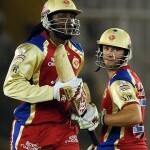 But this was the last of a massive Gayle storm in the tournament, as the team finished 5th in the IPL 2012. Dale Steyn proved why he is a class apart, when it comes to bowling in any format of the game in comparison with his contemporaries. How often do you see a bowler ending with figures of 3/8 in 4 overs in a T20 match? Rarely. So Steyn’s spell has to be right up on the list, with cricket obviously being a bowler’s game as well. 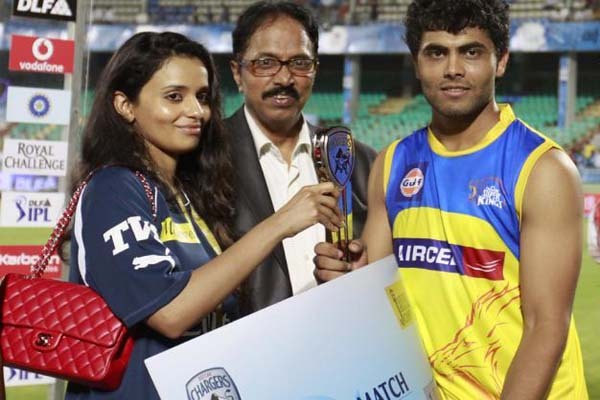 In Hyderabad, Deccan Chargers were playing their last match of the competition and wanted to give their home crowd some consolation after a disappointing season. The pitch was tailor-made for the manner in which Steyn bowls. He troubled Tillakratne Dilshan tremendously the way he did in South Africa last Christmas, and his master plan finally got him out lbw. Then Gayle, who as usual tried to dominate the bowling attack right from the word go, was forced to make an error of judgement by attempting to hit Steyn on the off side by going way outside leg stump. But the ball was so quick, that he got a bottom edge and it crashed onto the stumps. 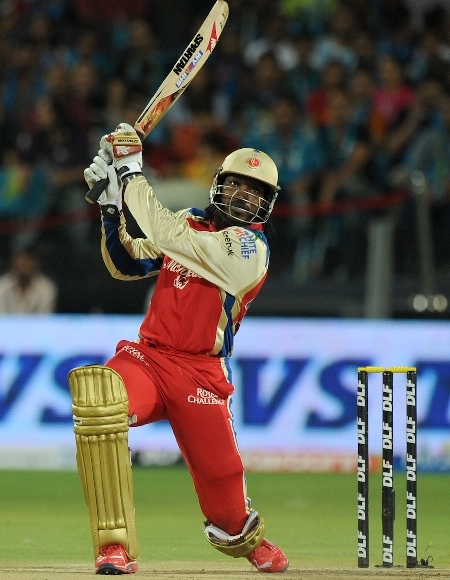 That was the turning point of the match as Bangalore lost confidence with his dismissal. He then added salt to their wounds by getting Zaheer Khan bowled as well, and went on to win the game for Deccan by 9 runs and knocking his former franchise out of the IPL 2012. Delhi Daredevils’ bowling attack was slaughtered again two games after Chris Gayle singlehandedly won Bangalore their contest in Delhi. This time, Murali Vijay was the centurion as Chennai Super Kings played Delhi Daredevils in what was a virtual semifinal game in Chennai. A win for any of the teams would have taken them into the final, and a loss meant that the team would have to go out of the competition. Once again, there was no Morne Morkel for the Daredevils so such was his influence in the side. Irfan Pathan’s injury meant that their bowling was on shaky ground, and then of course there was the pressure of playing a knockout match against the defending champions in their own backyard. Yet credit cannot be taken away from Vijay, who was woefully out of form throughout the IPL 2012. He has this knack of playing well in crunch games in Chennai especially and hence this knock reminded many of his 90 in the final against Royal Challengers Bangalore in the IPL 2011. Vijay made Delhi pay for their strange tactical decisions right from the first over, and his 15 fours and 4 sixes ensured that the opposition was never in the hunt of winning the contest. Vijay was always there, while the others had the license to hit out or get out. A score of 222/5 made Chennai win the game from the first half itself, and thus they cruised to the final by a massive 86-run victory. In terms of fast bowling, Steyn’s spell was definitely the best of this year’s IPL. But in terms of spin, it is Sunil Narine whose performance would easily make the cut. And that happened to be against archrivals Mumbai Indians at the Wankhede Stadium. This was a crucial game for Kolkata Knight Riders to keep challenging the Daredevils for the No.1 spot on the points table and the team also needed to arrest a 2 match losing streak, since they lost at home to both Mumbai and Chennai. On what was a typically two paced Wankhede pitch, Kolkata struggled to score big after batting first. 140 was a par score, but Narine’s bowling made it a match winning one. His first spell in particular, was a sight to watch indeed. How many spinners have troubled Sachin Tendulkar over the last two decades? The Trinidad and Tobago offie was the first one perhaps to do, as the Little Master struggled to read his variation. His deception and guile was such that Tendulkar eventually conceded his wicket with a bottom edge onto the stumps, trying to daftly cut a ball close to his body behind the keeper. Rohit Sharma’s wicket followed in his second spell, another big one for the Knight Riders since he singlehandedly took the game away from them at Eden Gardens with a century. That was a straighter delivery and it stopped on to Sharma, followed by which McCullum completed a good catch. Harbhajan Singh, the captain and RP Singh’s dismissals were to follow in quick time which ensured that Kolkata won another away game and register only their second win against Mumbai in five years of the IPL, this being their first at the Wankhede. Round Two may have belonged to one South African pace bowler, but Round One belonged to the captain of South Africa who is a terrific wicketkeeper batsman. This was a game between Royal Challengers Bangalore and Deccan Chargers at the Chinnaswamy Stadium in Bangalore. The home team won the toss and chose to field first, but not much went right for them after the first 20 overs of the match as Deccan posted an exceptional score of 181 in 20 overs. In reply, Tillakratne Dilshan kept Bangalore in the contest with his 54-ball 71 but wickets kept falling at the other end. So much so that Dilshan was dismissed in the 16th over with Bangalore still needing 65 runs off the last 28 balls of the match. But de Villiers kept a calm head and proved why he was such a good buy for the Royal Challengers. The manner, in which he attacked his fellow countryman Dale Steyn in his final over, was an attack which perhaps no batsman in the world would inflict to Steyn. That made the ultimate difference to the equation for Bangalore to chase down the target successfully. Bangalore won with 7 balls to spare, as de Villiers ended with an outstanding 17-ball 47 remaining unbeaten. Ajit Chandila was a name never heard before by anyone in the world, until he became the first bowler to pick up a hat-trick in the IPL 2012 in a match against Pune Warriors India in Jaipur. Rahul Dravid would often keep forgetting his name, but from then on he would not think of doing that in his wildest of dreams. Chandila became a household name overnight having played for the Rajasthan Royals franchise, like Yusuf Pathan and Ravindra Jadeja in the IPL 2008. But it is still early days for the Faridabad based right arm off spinner. This is just the break he needed for his cricketing career. He was asked to bowl the first over by Dravid and did not disappoint at all, with the wickets of Jesse Ryder and Sourav Ganguly in two consecutive balls. To pick the wickets of batsmen of such calibre especially who can play spin very well, is a huge feat in itself. He was helped by the typically slow Jaipur wicket for the side batting second, but he indeed bowled well to get Ryder and Dada out. He was on a hat-trick when he came on to bowl his second over, and got it with the stumping of Robin Uthappa which was another great setback for the Pune Warriors India as they needed a victory badly. Chandila finished the game for the Royals in the fifth over itself with his fourth wicket being of the rookie batsman A Majumdar. The home team prevailed by 45 runs eventually. Chennai Super Kings entered the IPL 2012 amidst much criticism for picking Ravindra Jadeja out of all players in this year’s auction for as much as USD $2 million as per official reports. But Jadeja proved why he was worth all that money, as he justified the faith the team owners and skipper MS Dhoni had in him. After the defeat against Mumbai Indians at home, this was a must win game for the champion side and they were up against one of their southern rivals, Deccan Chargers. He came into bat at No.5, ahead of the likes of Dhoni himself, Albie Morkel and Dwayne Bravo with the score being 63/3 after 8.1 overs. The match could have been in any of the team’s favour, but by the time he was dismissed, Chennai was easily in the driver’s seat. His 48 runs came off 29 balls and it included 3 fours and 3 sixes, at a strike rate of 165.51. He took on bowlers such as Manpreet Gony, TP Sudhindra and Daniel Harris with aplomb and played the better bowlers with merit. He top scored in Chennai’s final total of 193 after 20 overs. Yet, Jadeja was not finished. He then inflicted more pain to the Chargers with his left arm spin, something which he is better at than batting. His wickets did not include any top class player, but wickets are wickets eventually. To pick five of them in a T20 match is no mean achievement since he only had 24 balls to do so. His figures were 5/16 in 4 overs, which won Chennai the game by a comfortable 74 run margin. This was by far one of the best all-round individual match winning performances of the tournament. Another match winning performance on this list came against Deccan Chargers. It goes to reflect their performance this season, which was hampered mainly by individual brilliance. This time, Rohit Sharma of Mumbai Indians did it against his former IPL franchise. And that too in Vishakhapatnam, Deccan’s home ground. Easily, this can be rated as one of the best fifties in the history of IPL and one of Rohit Sharma’s best. Deccan batted first and ended with 139 runs in 20 overs. The innings was marred with Mumbai Indians players viciously arguing with the umpires regarding the dismissal of Kumar Sangakkara. Yet, Rohit Sharma managed to make people forget about the incident temporarily with a master class of a T20 innings. Mumbai were on top from before, since they had to chase 140 only for a win on what was a sporting track at Vizag. But Dale Steyn had other ideas. The visiting team was reduced to 10/2 after 4 overs, with Steyn dismissing both the openers Richard Levi and T Suman. This meant that Rohit Sharma batted right from the beginning of the innings, coming in at No.3. Plus, only Kieron Pollard supported him well at the crease which meant that Sharma singlehandedly made Mumbai achieve the target successfully. Steyn also dismissed Dinesh Karthik on the last ball of the 19th over, leaving Mumbai 21 runs to win off the last over. Rohit Sharma hit a six off the last ball of the match off the bowling of Daniel Christian to seal a famous win and their second of the IPL 2012. 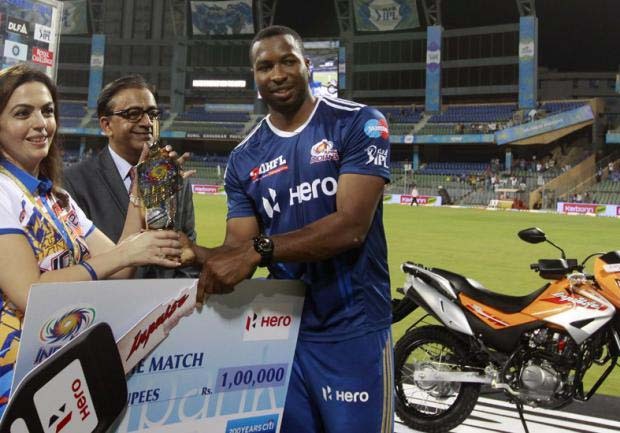 All-round performances are needed by any team to win a match and Pollard did exactly that for the Mumbai Indians in a home game against the then table toppers Rajasthan Royals. He has always had the potential to make a big score in T20 cricket, but surprisingly had failed to do so prior to this game. This time, he made the opportunity count and typically decimated the Royals bowling attack. He smashed 6 fours and 4 sixes, one of them being of 105 metres which nearly went out of the Wankhede Stadium. A strike rate of 193 meant that Pollard hit 64 runs in only 33 balls. Mumbai finished with a colossal total of 197 in 20 overs. But I guess Rajasthan forgot that Pollard can bowl as well. They decided to go after his bowling and they did on what was an unusually flat pitch in Mumbai, as he was smashed for 44 runs in his 4 overs. He still managed though to pick 4 wickets which proved to be the difference between both the sides in the end. Wickets of Ajinkya Rahane, the Orange Cap holder then and Ashok Menaria were crucial since Owais Shah needed their support as much as possible. The burly West Indian then proceeded to clean up the tail and help his team win by 29 runs. Mumbai started to recover from here, to ensure that they finally made it to the playoffs stage for the third consecutive year. My favourites are Chris Gayle and Rohit Sharma’s performances. T20 is at it’s best when they get started. Unfortunately we missed big fireworks from Viru. Murali Vijay’s also great when he is in the form but as is narcissist. He gotta learn a lesson or two for being a good sport person and not just to confined to his self adulation.